Whether you loved it or hated it, Paul Pogba's goal celebrations against Bournemouth last month encapsulated the supremely talented enigma; it oozed confidence, panache and a joie de vivre. It perfectly symbolised the Frenchman's ability both on the pitch, and the effervescence off it. At his pomp, he carries the style and charisma of a Zidane, and the power and drive of a Vieira. Lofty comparisons perhaps, but this after all is the man who signed in the summer of 2016 for a then world-record fee of £89m. Even Jose Mourinho proudly claimed that Pogba could be 'the heart of the club' for the next decade. At just 23 at the time, the Frenchman was back at the Theatre of Dreams; just four years after making only seven appearances for the Red Devils before his contract expired in July 2012. His departure from ​United was unceremonious, with Sir Alex Ferguson remarking that the mercurial midfielder had failed to show the club any respect at all. To put it bluntly, even Sir Alex bade Pogba good riddance. And so, when he came 'back home' in 2016, he had a chip on his shoulder. There was an element of recognising his own talents, but an understanding that even his exploits with ​Juventus could not hide the fact he had something to prove back in United red. Upon signing, ​Pogba was quick to hail the influence of Mourinho in his decision to re-join the club. He admitted to talking to several of his French teammates about working under the former Chelsea boss and they all spoke glowingly about the Portuguese man's ability to bring out the best in players. Pogba went as far as to ​say of Mourinho: "He gave me energy, he gave me positivity." In the space of two-and-a-half years however, all that so-called energy and positivity had well and truly disappeared. Pogba's offensive nature was suffocated, with the Frenchman asked to take on more defensive responsibility than he had ever been given. Invariably, the 25-year-old's attacking instincts would take over, United would struggle defensively, and Mourinho would be furious. It was a vicious, never-ending cycle. The pair's relationship had become toxic and virtually untenable, with both men's head-strong attitudes allowing neither to buckle. The training ground footage of Pogba's icy altercation with Mourinho and the furore over the Frenchman's Instagram post during the Carabao Cup defeat to Derby laid it all out publicly. Sir Alex was notorious for his hairdryer treatment in the United locker room. Mourinho however had brought the feud outside. With United's results worsening and Pogba and Mourinho's relationship at breaking point, something had to give. It was either going to be Pogba, or his manager. It had all the hallmarks a classic Western. In the end, the United hierarchy stepped in to pull the trigger on Mourinho's sacking, just days after the side's embarrassing 3-1 defeat to Liverpool in the ​Premier League. In his place, club legend Ole Gunnar Solskjaer stepped in, and vowed to get his down-and-out players to 'enjoy' their football again. He let Pogba off the defensive leash and gave him the confidence to play his game. His brace against both Huddersfield and Bournemouth was the first time a United player had scored at least twice in consecutive appearances since Wayne Rooney in December 2012. ❌ @ManUtd sack manager Jose Mourinho.  @PaulPogba is named @ManUtd Player of the Month for December. Indeed, his four goals and three assists in December was the Frenchman's best month for goal contributions in his entire top-flight career, and was fine reward for a player who has seemingly rediscovered his love for football once more. When before he looked leggy and lethargic, he now looks powerful and dynamic. When before he looked annoyed and disinterested, he now looks buoyed and focused. Pogba under Mourinho was a shadow of the inspiring World Cup winner of the summer; under Solskjaer, the France star has simply stepped out of it. Mourinho may not be in the Old Trafford dugout anymore, but he certainly got one thing right when he heralded the arrival of Pogba as someone who could be the 'heart of the club'. 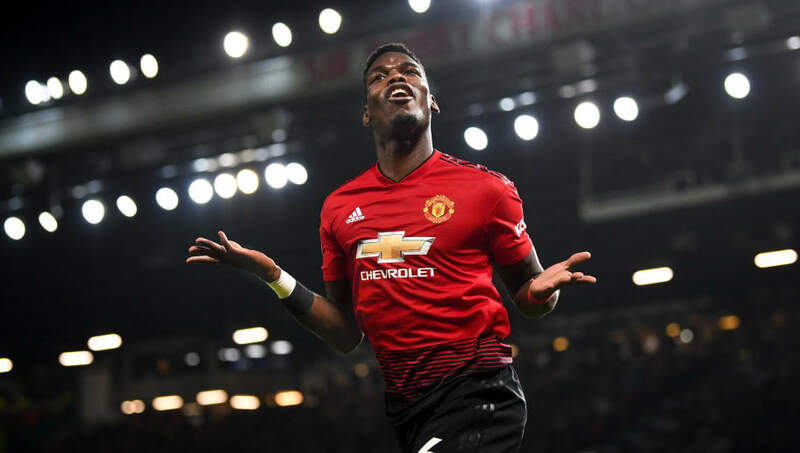 With his return to form under his new manager, and his penchant for flamboyant goal celebrations, Paul Pogba could very well be the heart, and soul, of Manchester United for the next decade to come.